It is mentioned in the post that the prototype might still get some changes later as it is still unfinished. However, Oonashi also added that Mikatan will be previewing the painted version of this Nendoroid along with the optional parts and accessories shortly. 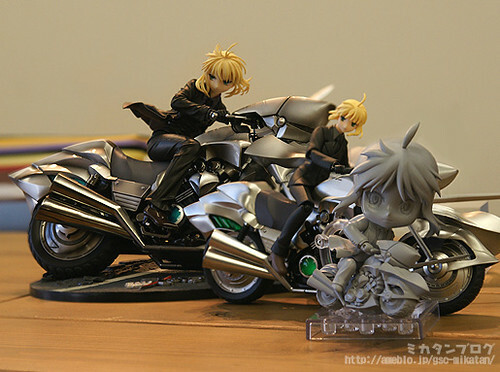 This entry was posted in News and tagged cuiraisser, fate zero, nendoroid, saber. 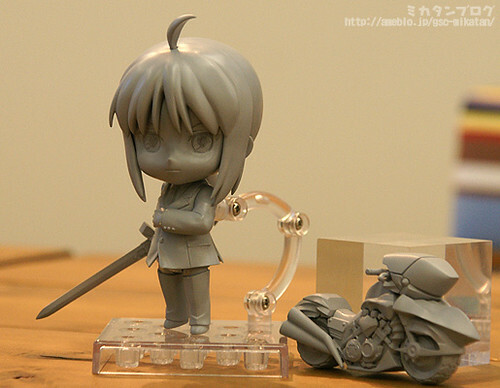 I like Saber, and I think the cuiraisser bonus is cool. But when she drive it… LOL that big head..